The professional life of an individual often opens up better opportunities. Under these situations, you need to write a Professional Resignation Letter Samples to the previous employer to inform them officially that you are quitting the job. While a particular section denies the importance of such a letter, professional ethics support the purpose of writing resignation letters. 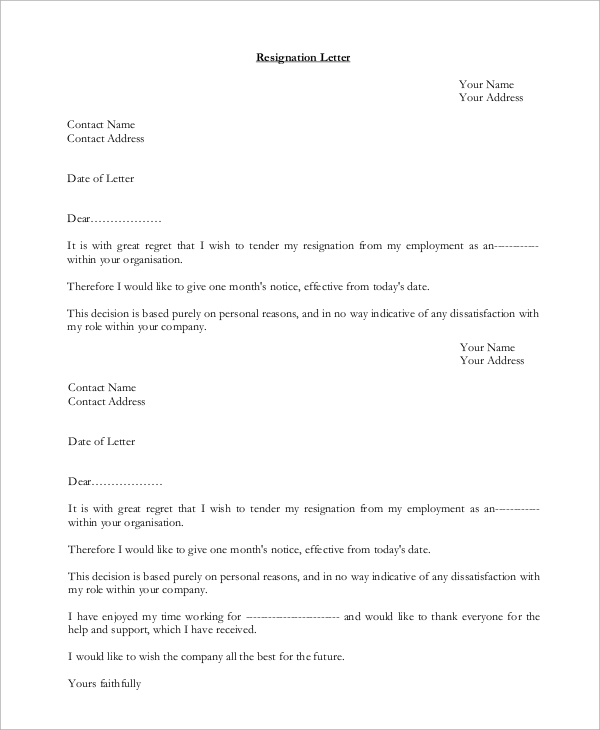 Here are certain Samples of Resignation Letters that people commonly implement when they quit a job and embrace a new one. 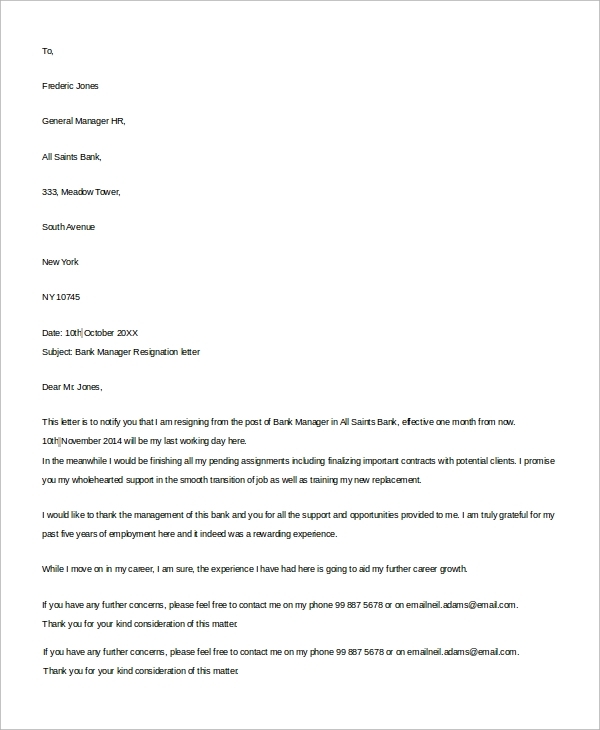 This letter is addressed to the general manager of the bank. The date of resignation is mentioned in the first paragraph of the letter. The employee leaves good wishes for the pervious company as he moves on to a greater professional altitude. This is a tidy letter containing the date of Example Resignation Letter and its causes. It formally informs the employer that the notice period has begun. The date and signature of the candidate are present at the bottom of the page. Retirement Letters include the retirement plans post resigning from the job. The letter is addressed to the head of the institution with the date and plans for retirement and leaves a formal yet warm regard in the end. 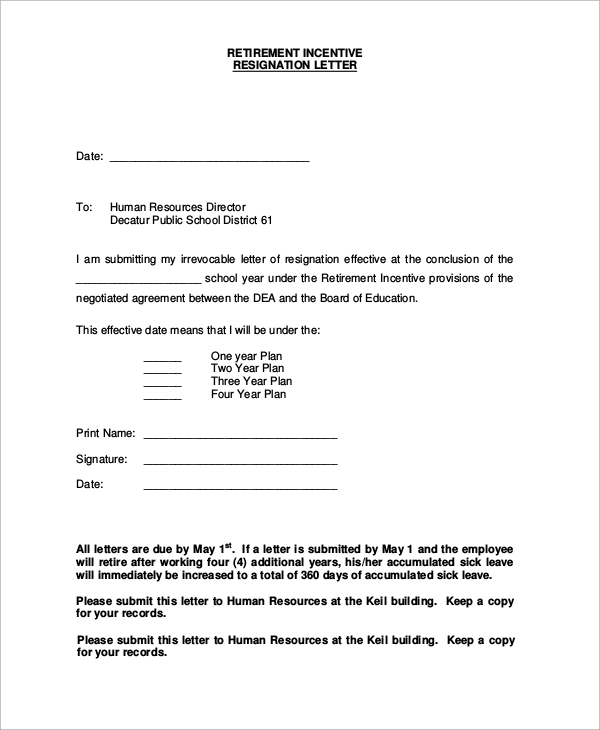 Why is a Resignation Letter Necessary? 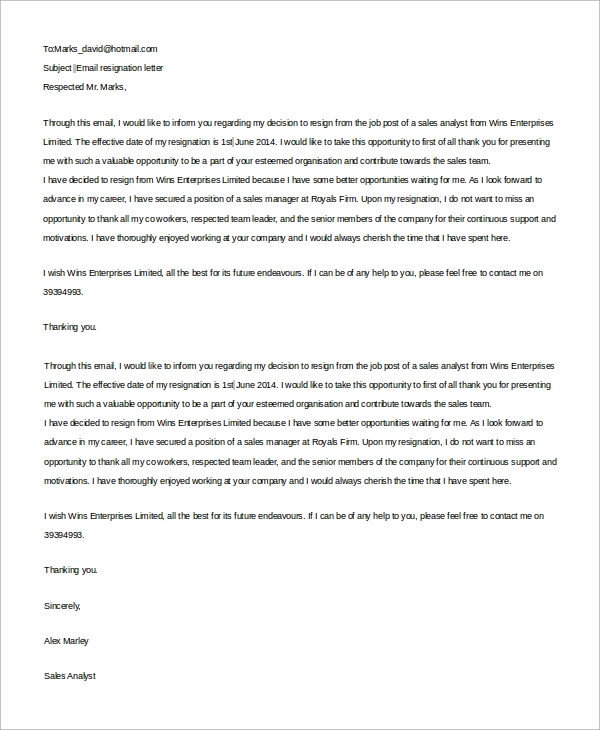 With the submission of the Sample Resignation Letter, you can inform the company that the notice period has already begun. Apart from this, it is unfair to turn the relationship with your previous employer sour, so you can retain a warm relationship even when you are not working for them anymore. This is a specimen of sheer professionalism. In this letter, the reasons for quitting the job are clearly mentioned. You can thank the company for providing you with the opportunity to gain experience there. You can end the letter with a thankful and warm note. 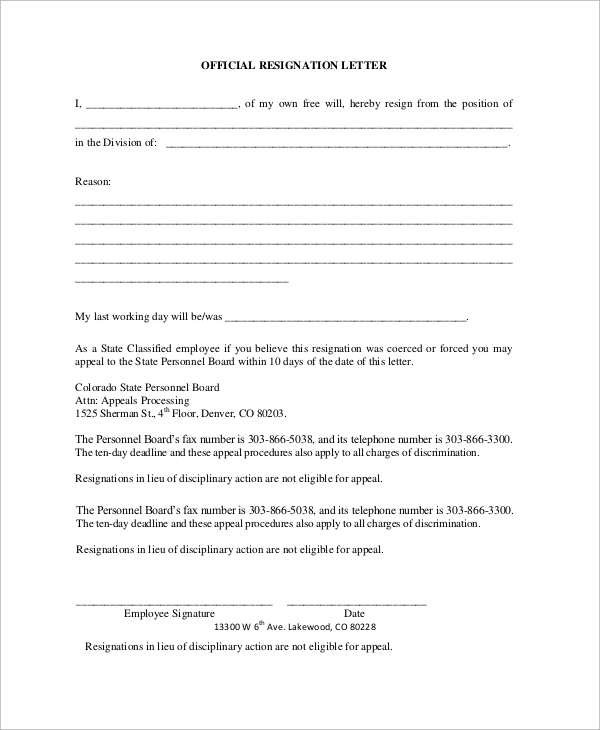 If you are a nurse, you may need this letter when you decide to resign from your position. You can mention the new health institution where you will be working. 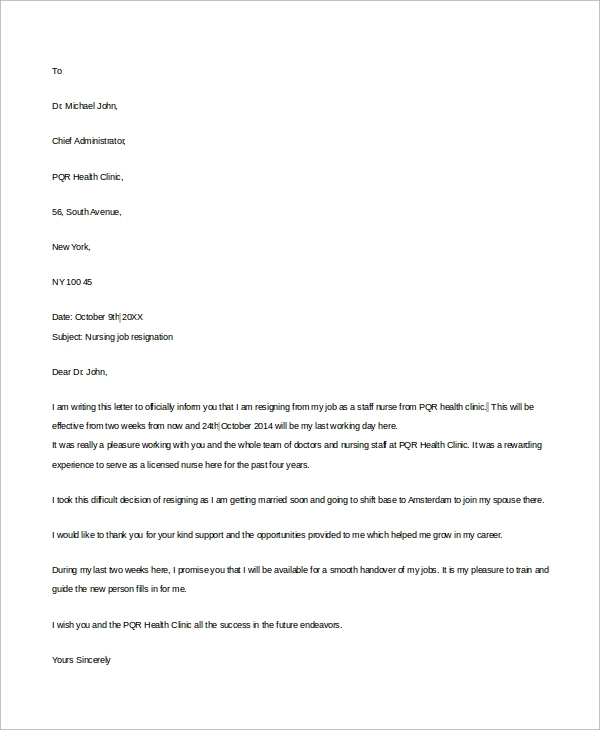 All the formalities, dates and professional regards are present in this letter. A Resignation Letter Example has to be non-aggressive, thankful and warm. You can thank the company and its head for providing you with the opportunity to grow your experience. You can mention the reasons for quitting the job if you desire, although there is no compulsion for doing so. The most common cause of quitting the position is that you have a better opportunity in some other company. The last date of attending the job has to be mentioned with clarity. You need to include your personal statement regarding the resignation of the job. 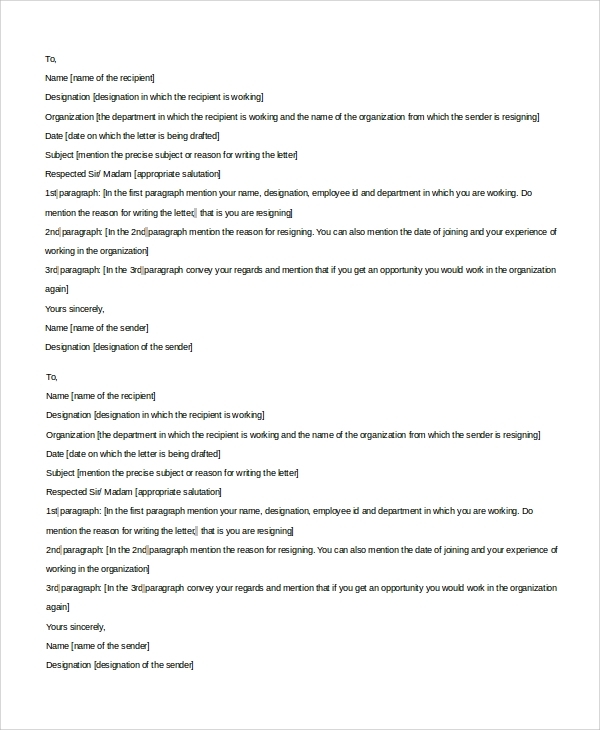 Remember to include your signature at the bottom of the page. A Resignation Letter officially declares that you are quitting the job on your will, and it has nothing to do with the decision of your boss. 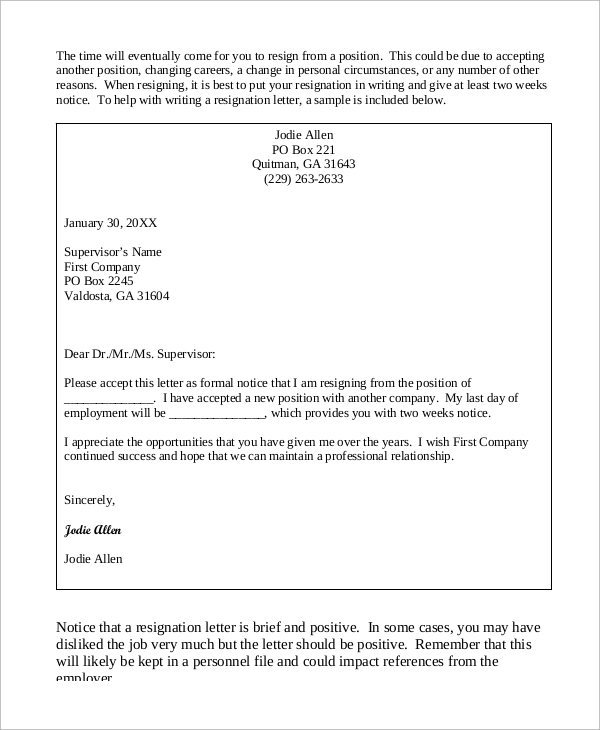 There are several Resignation Letter Examples in the website, and you can pick the one that goes well with your cause. A perfectly tailored resignation letter leaves the essence of a warm relationship in your professional circle.